Get dazzled, amazed and experience one of the funniest best stage hypnosis shows ever! We can get as crazy as you want! 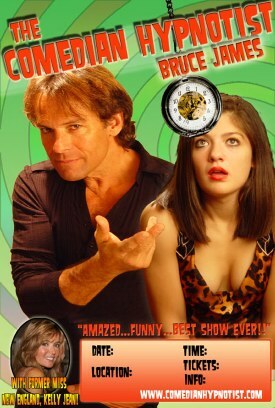 Don't miss this energetic mix of adult comedy, hypnosis, and non-stop laughter from start to finish during this hysterical Las Vegas Show style hypnotic performance. 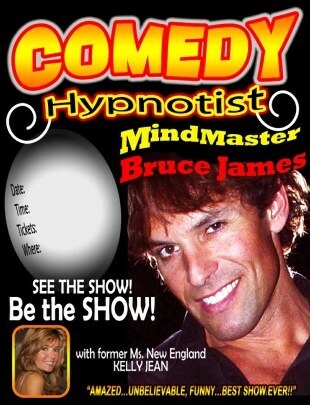 Bruce James Comedy Hypnosis is available for comedy clubs, corporate entertainment, private and fundraising events. Often the most quiet introvert becomes the brightest entertainer. Regardless of whether you believe hypnosis is real or not, you will amazed at Bruce's ability to transform your friends as you experience first hand, the amazing power of hypnosis! 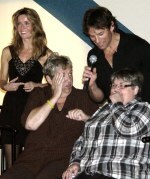 When the show starts, I state to the audience what's going to happen and make them at ease. I tell them what they can expect and let them know I'm not going to make them cluck like a chicken... Yet I will have fun with them... but always have the intent to inspire my volunteers.